It may appear that the Rajapaksa regime is so powerful that even for the initial impeachment motion against the Chief Justice, Dr Shirani Bandaranayake, it has gathered 117 signatures of parliamentarians. What it actually required was 75 or one third of the 225 member Parliament. But what appears on the surface is not actually the case. It is so powerful; but it is so weak. It is powerful in numbers within and outside Parliament, at present, but weak in moral legitimacy and justice both from a national and an international perspective. The reason behind the impeachment is so obvious. It is to retaliate and circumvent the constitutional and legal objections coming from the Supreme Court and the judiciary at large for its arbitrary rule. It is not yet revealed what the full content of the impeachment motion is. But the appointment of the Secretary to the Judicial Services Commission (JSC), Manjula Tilakaratne, and even the ‘refusal’ to meet the President on 18 September, highlighting the interference with the judiciary, must have been included in the impeachment petition. While the appointment of the JSC Secretary was made a long time back, there is no rule to say that the senior most judge should be necessarily appointed to the Secretary position. What the JSC required was a competent and an efficient person. This is nothing against the others who are perhaps equally qualified. The government spokesman, Keheliya Rambukwella, has used the terms ‘overstepping’ its role and ‘improper conduct’ in justifying the impeachment motion against the Chief Justice. 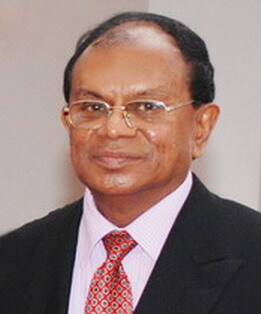 It is quite possible that the determination on the Divineguma Bill, both the initial one, determining to direct the bill to all provincial councils, and yesterday’s one, determining whether the endorsement of the Governor of the Northern Province is sufficient on behalf of the Provincial Council, must have angered the government. It is extraordinary, however, to impeach a Chief Justice, in the midst of a Supreme Court determination, on the constitutionality of a bill and its procedure, that apparently disfavours a government action, whatever the importance or the merits of such a bill. This is particularly so, as the decision is a unanimous one, of a three member bench of the Supreme Court. This is in itself exposes the ulterior motive behind the impeachment motion. No other argument is necessary. It is clear where the Rajapaksa regime is heading. This would have been clear, but not unfortunately to many, when the 18th Amendment was passed in September 2010. Only now that the Communist Party has recognized its mistake. Impeachment of the CJ is a dress-rehearsal for many more to come or to bring. Revamping of the whole judiciary is on the cards whether it will succeed or not. The next major assault would be on the 13th Amendment and the provincial council system. The regime is insecure otherwise. The power of the Eastern Provincial Council soon would be on the balance, and if the provincial council election is held in the North, the process of the de-legitimation of the regime would be accelerated. One major trait of the present regime, in fact a dangerous one, is its ‘pseudo-populist’ nature. It is a farce. It is on that basis that the opposition to the Supreme Court and its determination on the Divineguma Bill was mustered within Parliament and outside. This is the most dangerous trend. Those who are blind to populist rhetoric and who cannot distinguish between what is in letter and what is intended, even the Supreme Court decision on the Divineguma bill might appear ‘not correct’ even though they may like to ‘defend devolution’ like a pet dog. They even might stumble when the real challenge comes in abolishing the 13th Amendment and the provincial council system. When that comes, in addition to populism, it would be ‘patriotism’ against foreign interference or imperialism. Even the ‘moderate’ left in Parliament cannot be completely relied on, on the issue of the 13th Amendment. The challenge that the Rajapaksa regime is going to face in the coming future with ‘law and justice’ is not only national. It is primarily international. Even the internal challenge will not go away soon. Even the impeachment might boomerang on the regime. The submission of a motion is not the end of an impeachment. It should go before Parliamentary debate and the legal profession and the civil society have ample time to protest against the move. The judiciary in Sri Lanka with a long independent tradition since the Bracegirdle judgement in 1937 is not an institution that can be coerced easily. 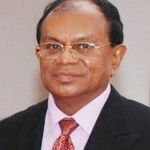 GL Peiris recently told Parliament that many of the sitting judges are his students, perhaps to indicate to the house that he has some authority over them. The statement was completely inappropriate and an insult to the judges. The guru-gola (teacher-student) relations apart, the issues that confront the judiciary are to do with clear legal matters which the government is hell bent to neglect, by-pass and violate. No judiciary or a judge would be in a position to ignore justice in their right mind. They might waver for a while but not for long. After this event, there will be more vigilance on the judiciary nationally and internationally. The major challenge for the government in the coming future would be from the international justice system. That may be the main reason why the government is so erratic and almost hysteric about the stance of the national judiciary to safeguard its independence. There is a link between the two and some of the matters bordering on international justice i.e. ‘war crimes’ might come before the Supreme Court in the country soon. When these matters come before the Supreme Court, if a prominent legal scholar like Dr Shirani Bandaranayake is at the helm, it would be a virtual disaster for the government. This is another reason why this impeachment is brought against her. It is most likely that the UN Human Rights Council (UNHRC) requests the Sri Lanka Supreme Court to investigate the alleged violations reported in the UN Experts Report at the last stages of the war. Even otherwise, there is no easy escape for the Rajapaksa regime from war crime charges. On the one hand, those will haunt and haunt the regime, and the perpetrators, and those who have been wilfully covering them up so far, until they go to their own graves. On the other hand, the international civil society is getting their acts together, step by step, to utilize the available international legal avenues to pursue these cases. Thousands and thousands of surviving victims and their loved ones from atrocities of both sides (the LTTE and the Government) are in perpetual agony. If we are not doing justice to them, Sri Lanka is not a civilized society. It is argued, and perhaps the government believes, that the setting up of an international tribunal on Sri Lanka could be stalled with the backing of China in the Security Council. This might be or might not be the case when the crunch comes. However, there are other avenues available in the Rome Statutes of the International Criminal Court (ICC), where even a sitting Head of State could be brought before the Court, even without the respective country not being party to the ICC. No Security Council approval is necessary. This is what the Rajapaksa regime is scared of: national and international justice through independent judicial institutions. Dr Fernando,you who talk of highily against corrupation and malmanmagemant in Rajapakasa goverance.Now you talk on Abittary Rule of Imperchemnt, when such charges come against CJ’s husband.! Where you stand for fair and justice play, Dr Fernando? Dr is clear in his rational analysis. Inspite of these criticisms aginst Imperchment of CJ there is perfectly justified in corrupation chargers is a sound reasons the study inside trading of NSB bank share transfer or selling. Sources says according to law CJ’s husband illegal arrragemant of such excerise power of authority of Chairman of NSB who ruin the law of custom finicial regulation. special wisdom is often assumed in case like this in which it would have been equally wise to go either to right ot to left and law merely testifies to a more or less casual choice between two or three equally expedient coures of ongoing legal procedure with head of CJ in highest court in Sri Lankan.That is why CJ need to relive her post from as quick as possible. If she voluntry not going to leave such higher position of judiciary,she has to face challeneg for Imperchament by electaed Member of legestaive chamber. That one-way clean up highest judiciary system and court of law. Dr Fernando this duty and responsibility of Rajapakasa Govermnent andn clean goverance.we cannot say that move is unjust.It look after principle interset of INDEPANDANCE AND EQUALITY BEFORE THE LAW IN OUR JUDICIATY SYSTEM. In the UK judges generally interpret the law according to the times which is very democratic. These actions have generally annoyed the PM and his fellow law makers but they have not stooped down to the level of a failed state rather gone back to parliament and created the proper legislation and carried on. Sri Lankans cricket, the era of Shrub with bLiar and the assassination of Kadirgamar were taken as a windfall to run the state with brute force. After the storm and elections in the US, Lanka is bound to feel the might of American diplomacy. As they say in the US “Deal with it”. Dr. Fernando, some time ago you were an ardent supporter of this regime. Now you are criticizing the same. My suggestion is that you are lying. It is amazing that the leader of the country’s main opposition party has not weighed in. At the end of the day he is as much to blame, for rolling over and exposing his posterior, for the slide into arbitrariness. Honestly can anyone blame Mahinda for thinking he is King. The opposition are busy fighting among the themselves and the southern electorate keeps voting for Mahinda/UPFA. When people call in to Sinhala political talk shows and ask question , it dawns on you how clueless they really are. MR is the one who appointed CJ, he has l the rights remove her if he doesnt like because he is the head of state and all authorities sunject to him. MR is the new owner of Judicary as it was bought over by him and his family and he decides and tells what should and should not be done.